Good morning. Did you have a nice weekend? I did but it went too fast. 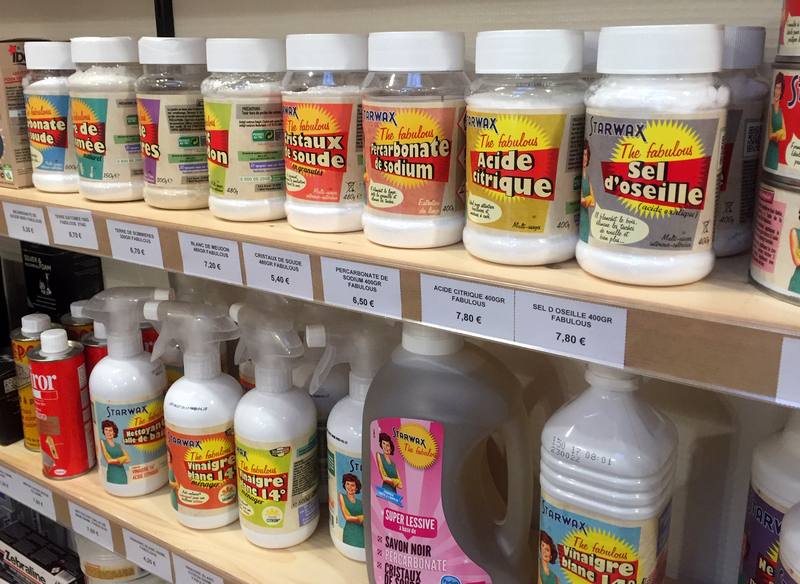 Can you believe that it is almost March? I think the older I get the faster time seems to go. Tomorrow is Shrove Tuesday otherwise known as Mardi Gras or Pancake Day. Pancake day is always 47 days before Easter and traditionally about using up all fatty foods in your pantry, eggs, milk and sugar which were usually not eaten during Lent. I love pancakes and frankly I do not have them often enough. Typically I make buttermilk pancakes but this week I decided to try a new recipe for Sour Cream Pancakes. 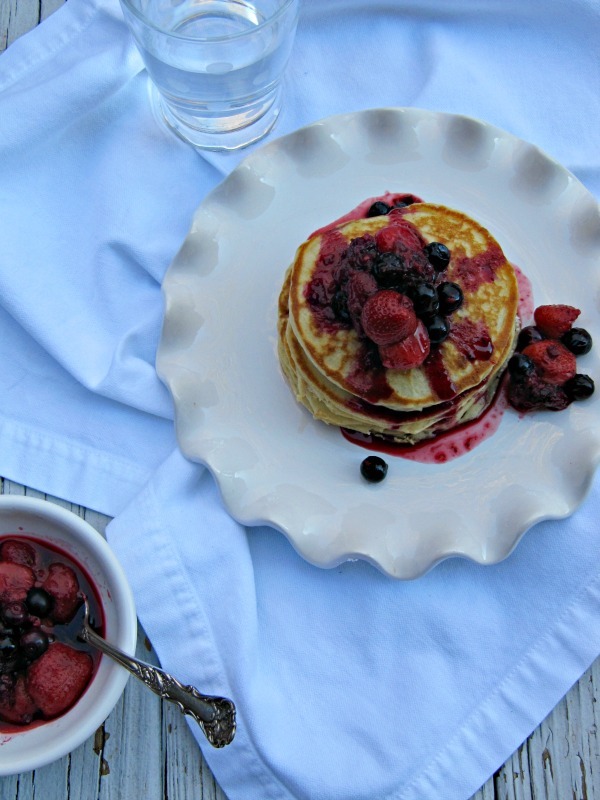 These pancakes are light, fluffy and fabulous. I like to eat them with powdered sugar, and fruit but you can have syrup, butter or whatever you like. Whisk together the milk, sour cream, egg, sugar, butter and vanilla. Then in a separate bowl combine the flour, baking soda, baking powder and salt. Add the dry ingredients to the wet and whisk until there are no large lumps. Then let rest for 15 minutes. Heat a non-stick pan over medium-low heat, spray the pan with cooking spray or add a little butter. Add batter and cook for about 2 minutes on each side. 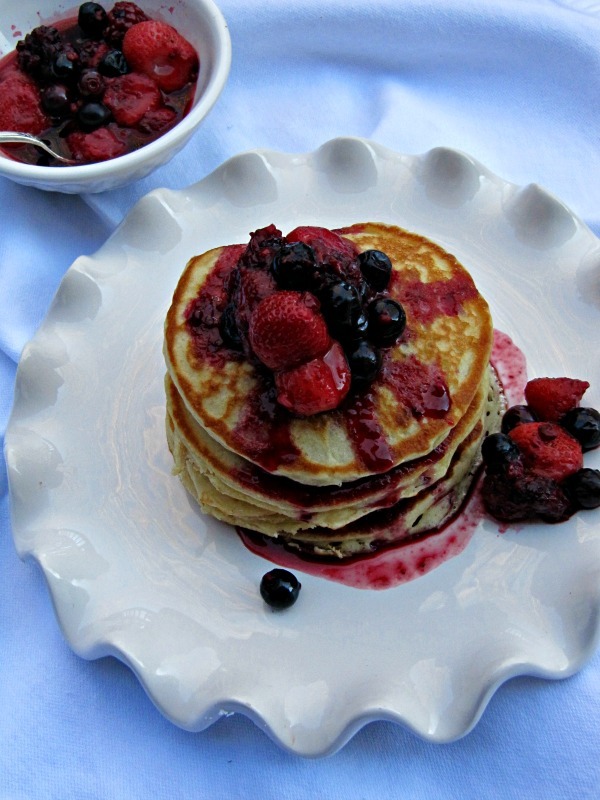 Serve with fruit, butter, syrup. 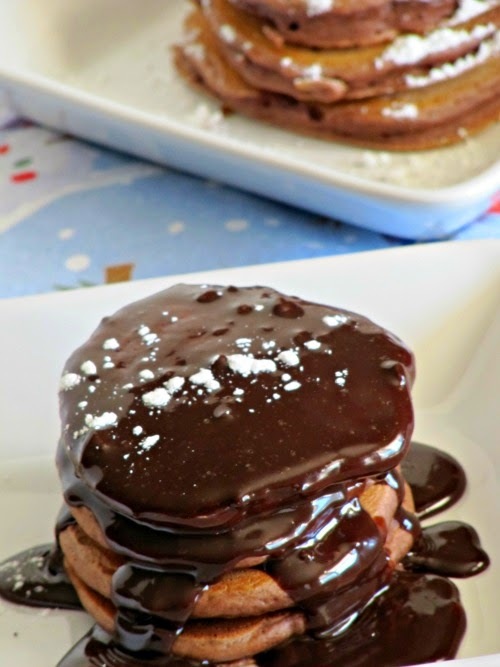 If you need something a little more decadent before Lent you could always make a batch of these Chocolate Pancakes. is great. Have a great day and enjoy a pancake or two! I love to wear gingham in the summer in any color but black and white is my favorite combination because it looks classic, which is my style. These are a few of my favorite gingham styles this summer. That said, I like the style but not necessarily the prices. Are you a fan of gingham? If so have you found any great shirts for summer? Good morning! It's going to be a beautiful weekend here, sunny, warm and Spring-like, totally out of the ordinary for February. So I am going to take advantage of this unexpected weather by taking a few walks on the beach, having a grilled burger and doing as much as I can out of doors because after this weekend it will be chilly again. Here are a few of my favorite finds from around the Internet this weekend. 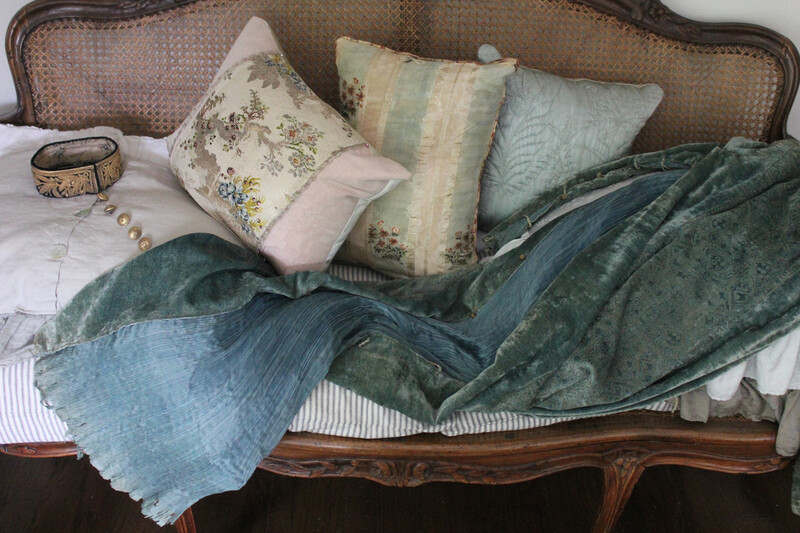 I enjoy reading about innovative and creative people and this post from Sharon at My French Country Home about The Painted Papers of Antoinette Poisson is right up my alley. 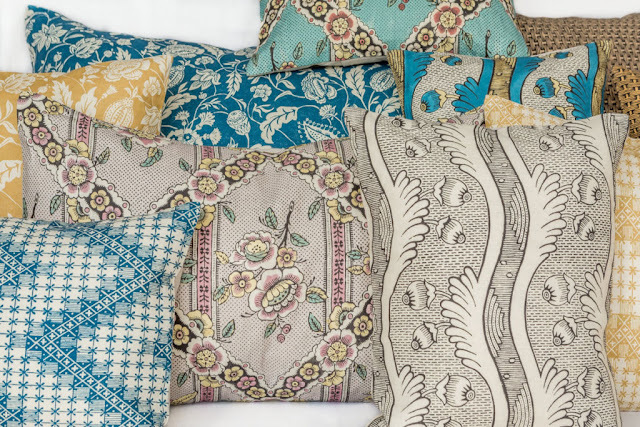 It's about three friends who all were trained in the restoration of wallpaper that decided to form a company that would reproduce 18th century designs on paper, including hand painted and colored wall-paper, fabric and more. 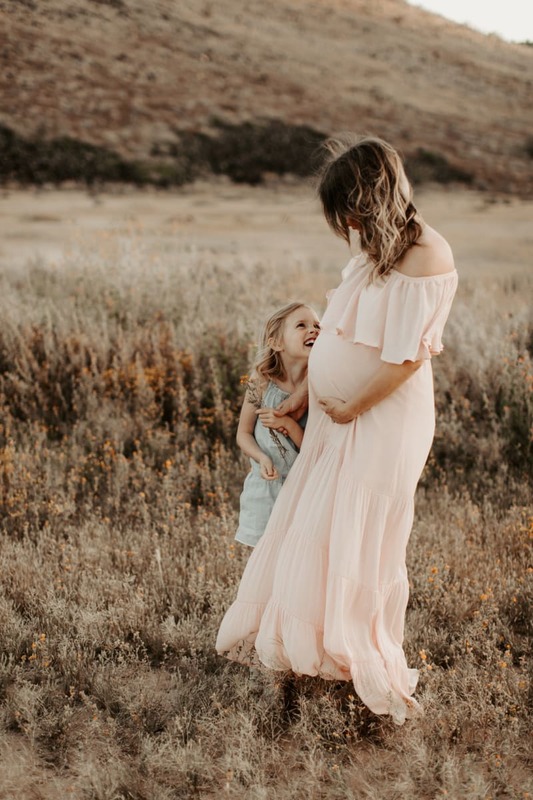 I love the blog Hello Lovely written by Michele and this week she featured her new video about herself! Check it out because it is as lovely as she is. 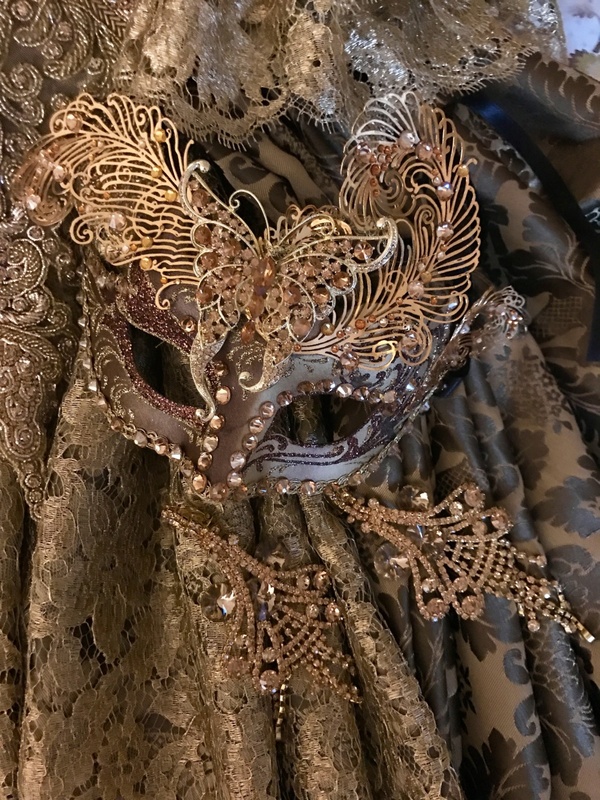 Have you ever wanted to attend the Venice Carnival? I have been to Venice many times but never at Carnival time and I think it would be magical. One of my favorite designers Carolyne Roehm is ticking that adventure off of her bucket list, check out her fabulous post on preparation for her trip. Dinner is 15 minutes? Sounds perfect to me. 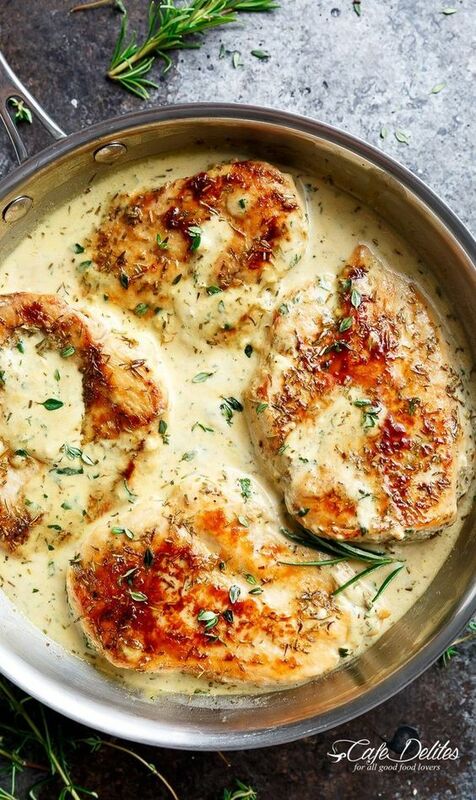 This quick and easy Creamy, Herb Chicken from Cafe Delites looks delicious and if it can be ready in 15 minutes I may have to put this is my monthly rotation of meals! This Winter Citrus Salad from Flavour & Savour would be the perfect accompaniment to any meal or even as a light meal itself. 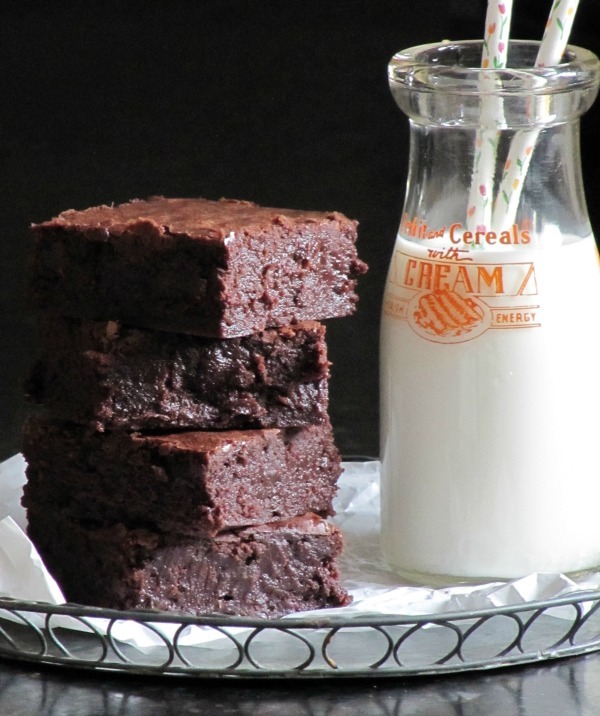 These Baked Bakery NYC Brownies aka Oprah's Favorite brownies are fudgy and fabulous! 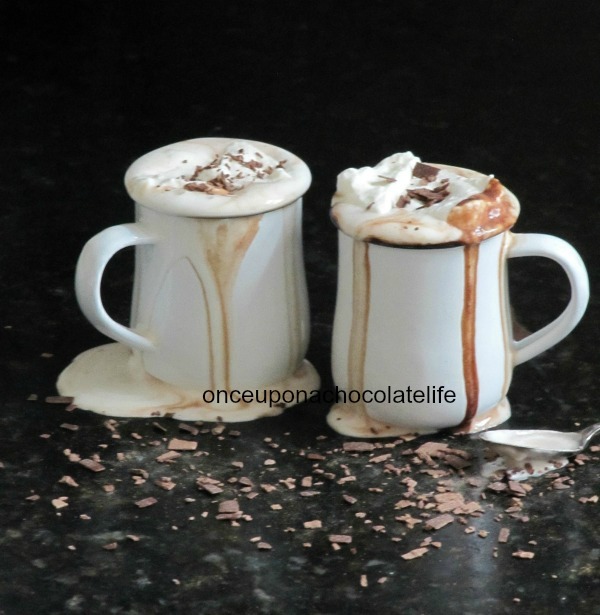 If you are a chocolate lover these are the perfect treat to make this weekend. Have you seen the move Hacksaw Ridge? If not I highly recommend this true story about Desmond Doss who was the first conscientious objector awarded the Medal of Honor. Did you find anything interesting to share this week, a recipe, a movie, book, blog, Instagram page, article or something else entirely? If so I would love to hear about it. Good afternoon! 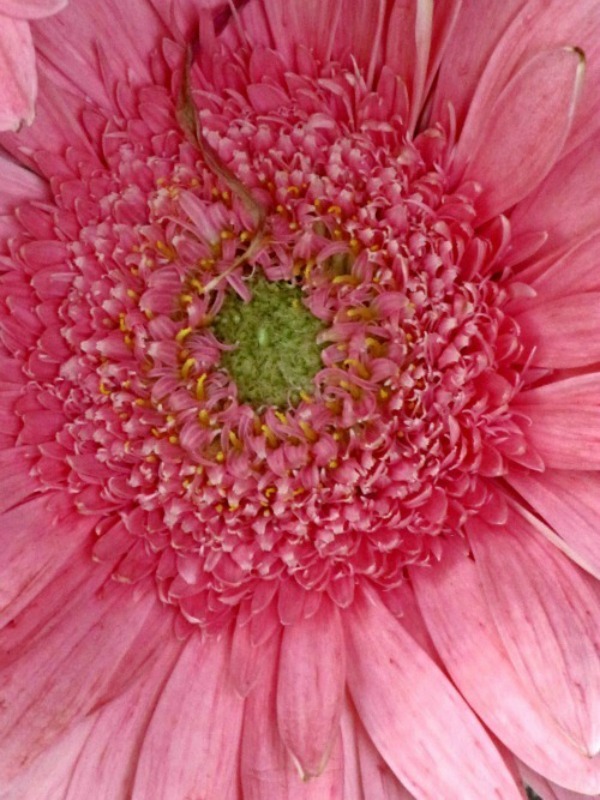 The sun has come out after a few days of grey rainy days and my mind is on Spring. Spring flowers are popping up all over my neighborhood, daffodils, crocus, and a few flowing trees which look like cherry blossoms. 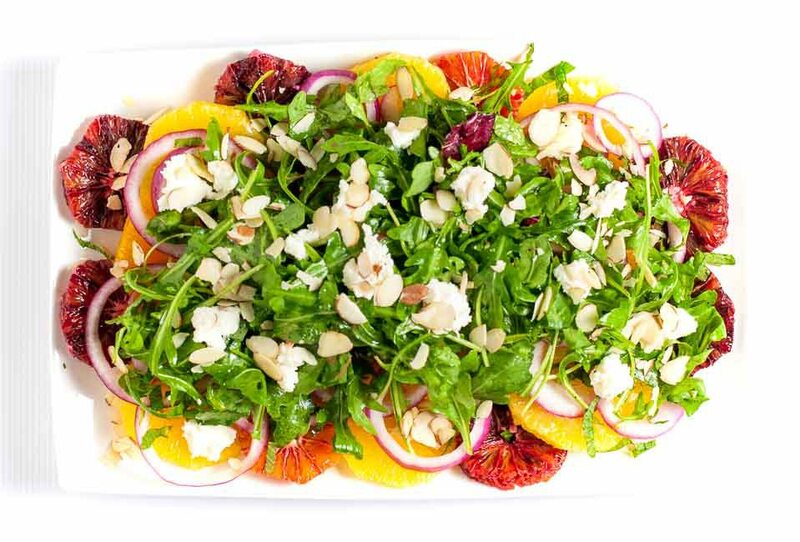 On a recent trip to Williams-Sonoma I noticed this line called Spring Garden, so I thought I would share it with you in case you missed it and want to add a little of the colors of Spring to your table! Good morning! Are you feeling blue at the thought of a few more weeks of winter? Take a look at these fun abstract paintings titled "Summer Abstracts." I think these four pieces would look beautiful grouped like this over a bed or on a large white wall. Odd really because I do not have a white wall in my house! Now if you were an artist you could paint yourself a set of these using any color that you like. I would love to see something in pink and orange, my new favorite color combination. Sadly, painting is not one of my talents, what about you? 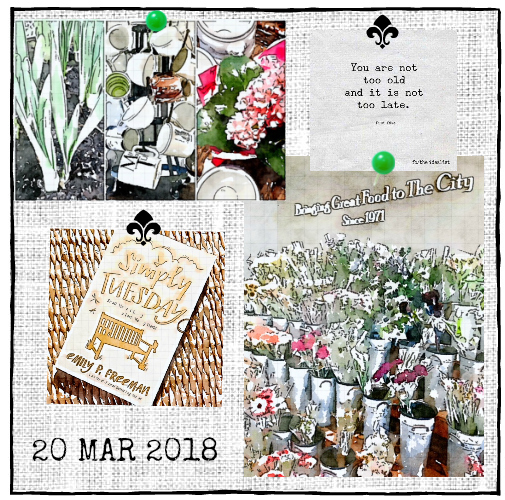 Writing books is not one of my talents either but it is just one of Kristy Woodson Harveys' in addition to the blog, Design Chic that she writes with her mom. Slightly South of Simple is available NOW for pre-order on Amazon. Click HERE to get your copy of what is going to be the best Spring/Summer book this year! If you would like more information about these pieces: Click the links below. Good morning! How was your weekend? Mine was busy. I had a lot of stuff to catch up on and managed to get it all finished. Sadly that did not leave a lot of time to enjoy the nice weather. It's funny because all I hear about lately is the weather, the unseasonably warm weather, the unseasonably wet weather. It seems this year winter is a little confused everywhere. 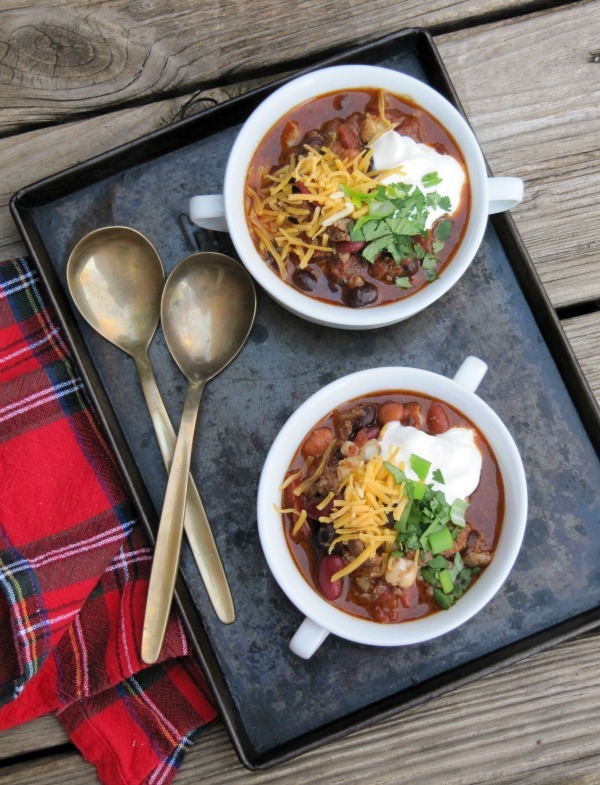 This week it is back to "winter" weather here so yesterday I made a pot of chili which I find is the perfect lunch on a cold day. 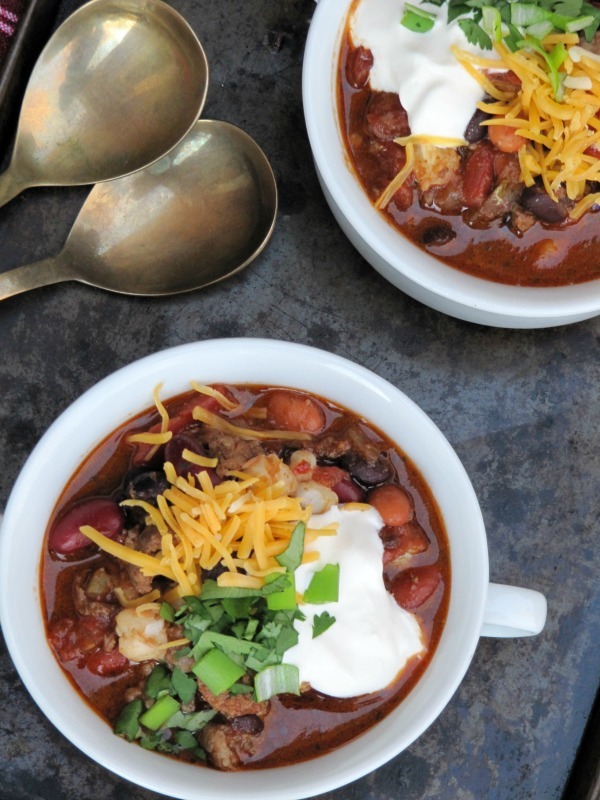 This chili is so easy and it is delicious, if I do say so myself. In a Dutch oven heat the oil over medium heat, then add the diced onions and cook until translucent. Then add the ground pork, ground beef and the garlic. Cook until the meat is no longer pink. Add the cocoa powder, the salt, cayenne pepper, paprika, chili powder and cumin. Stir well, then add the Guinness beer, and cook for 5 minutes. Then add the tomatoes and all of the beans and hominy, stir well. Cover the pot and let mixture cook for 11/2 hours. 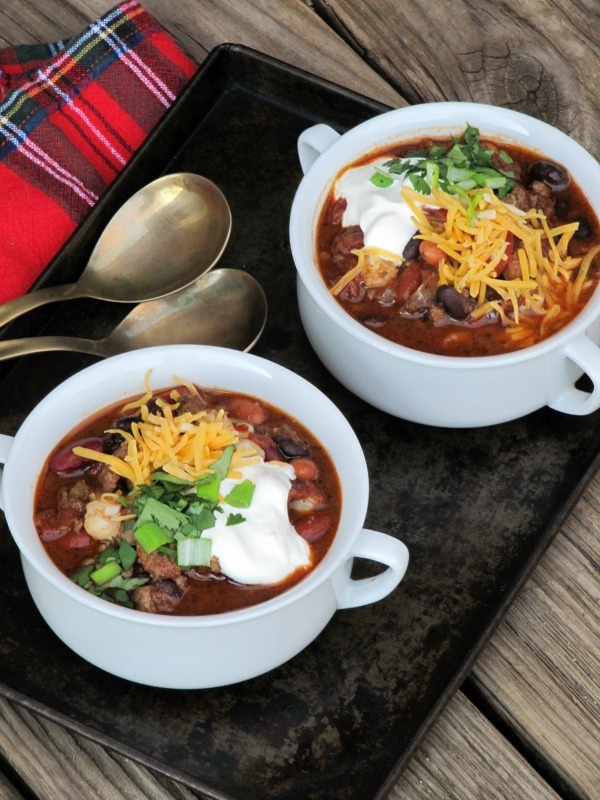 Garnish with grated cheese, sour cream, onion, jalapeño peppers or whatever else you like. I hope that you have a fabulous day! Enjoy your day off if you have today off to celebrate presidents day! 1. White Two Handled Bowls 2. Tartan napkins (similar) 3. Vintage Dirilyte Flatware (similar) 4. Vintage baking pan. Good morning! Did you have a good week? Mine was tiring, and it seemed to be very busy but I feel as if I did not get a lot done. Have you ever had one of those weeks? I just want to relax, eat pizza and stay home this weekend, although that is not in the cards because I have a "to-do" list a mile long. 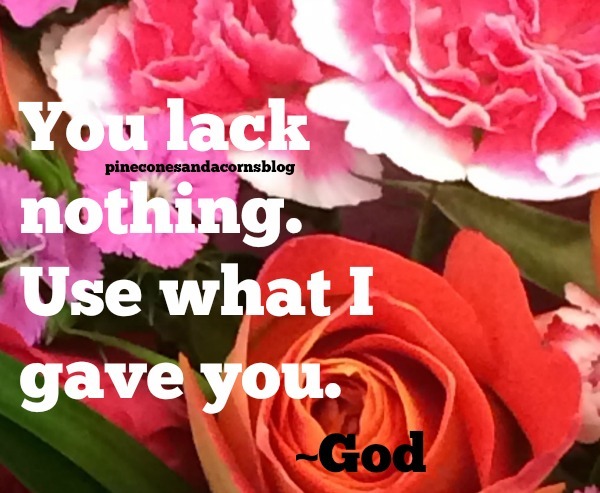 I will find time though to visit a few of my favorite finds from this week. I have been craving salty and sweet things this lately, so this week I made Fleur de Sel Hot Chocolate and it is the perfect treat after a long, cold week. 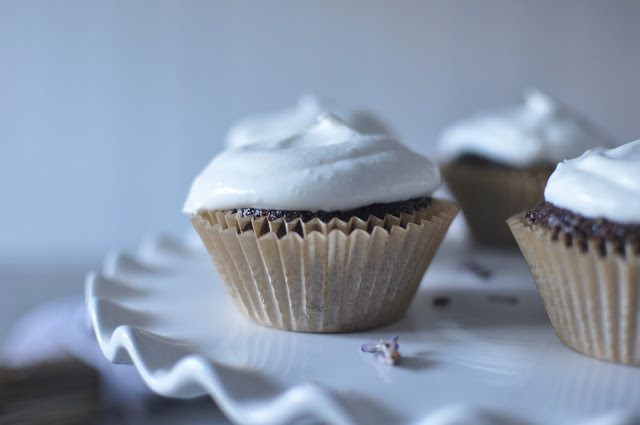 Speaking of salted chocolate, don't these Salted Chocolate Lavender Cupcakes from Leslie at Gwen Moss look delicious! The good news, they are gluten free and dairy free. 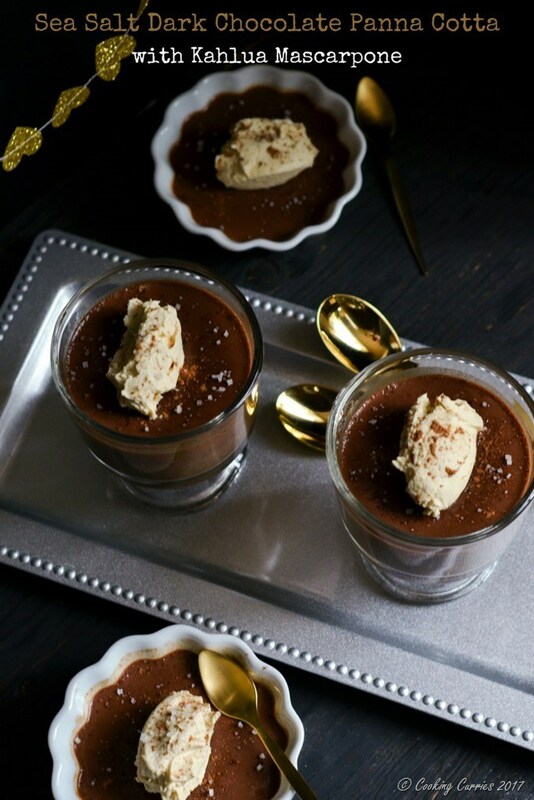 One of my all time favorite and easiest desserts is panna cotta, so when I saw this Salted Chocolate Panna Cotta from Cooking Curries I knew I had to put in on my list of things to try. If you live in Washington D.C, or are contemplating a move there, I have the perfect house for you. 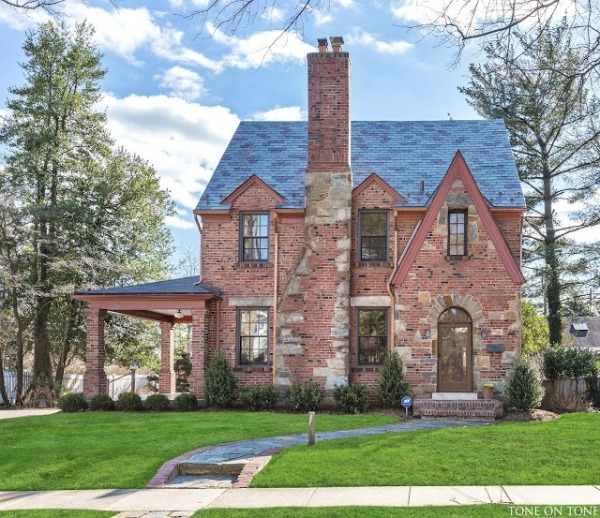 Loi and Tom of Tone on Tone have just listed their newly renovated Tudor on the market. Even if you are not moving make sure to go over and see this beautiful house at Tone on Tone. Have you seen the movie Remember? If not, it is an excellent movie about a Holocaust survivor with dementia that goes on the hunt for a Nazi war criminal. I love art and history and the stories behind peoples collections. This week while perusing one of my favorite auction sites, Invaluable I came across an upcoming auction by Christies, Boniface de Castellane & Anna Gould: A Way of Life. 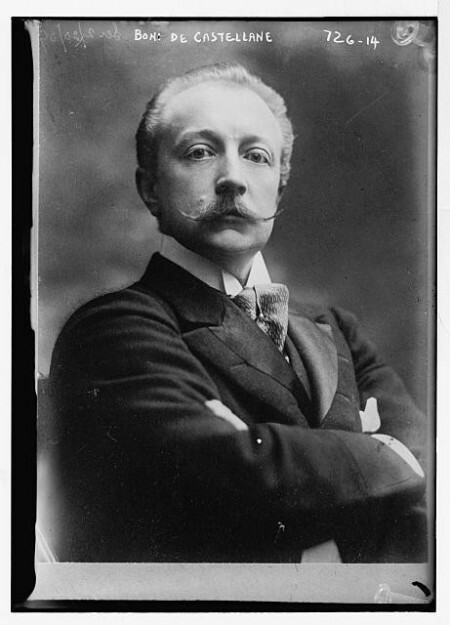 I found the title intriguing so I set off down the rabbit hole that is Google and discovered some interesting stories about this French dandy and his American heiress and their incredible life and collection. You can read more about the auction here and more about their house and life on the blog Strange Flowers, HERE and HERE and HERE. 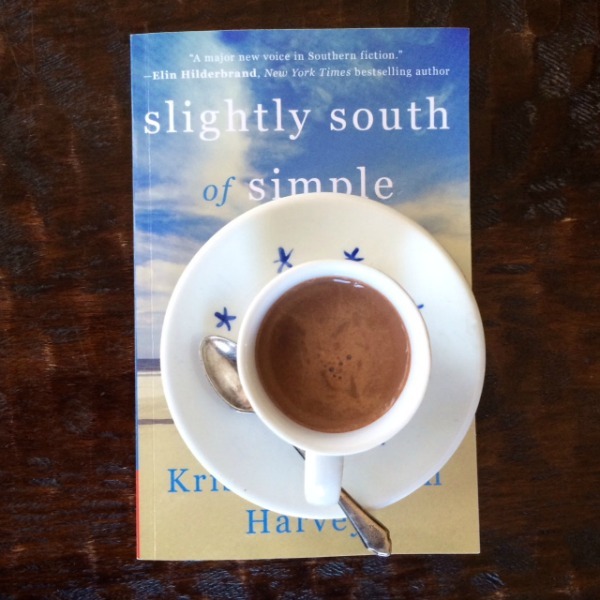 This week I had the great pleasure of reading an advanced copy of Slightly South of Simple written by Kristy Woodson Harvey. There are not words to describe how much I love this book! Kristy is an incredibly talented writer and one of my favorite parts of her writing is that you feel as if you know her characters, and you grow to love them as if they are your own friends and family. 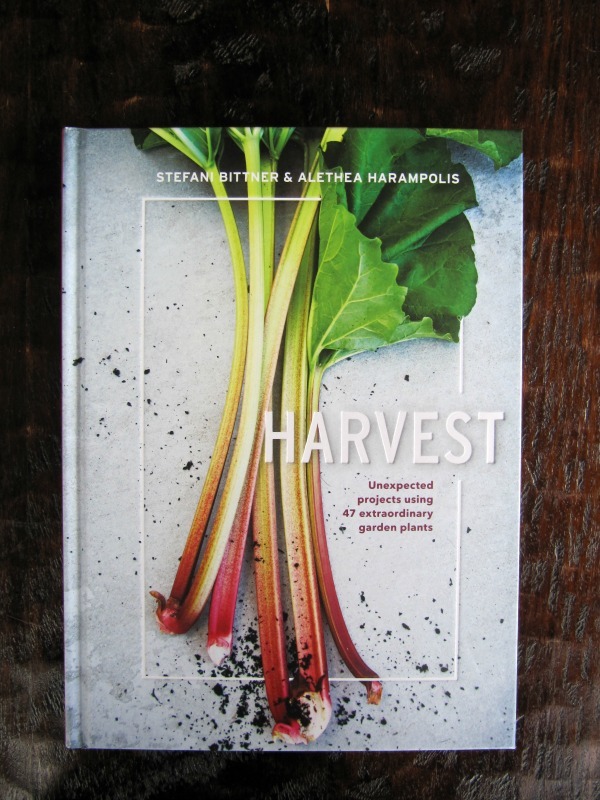 Another great book that I read is Harvest: Unexpected Projects Using 47 Extraordinary Garden Plants. This beautifully written and photographed book is divided into three sections by season: early, mid, and late, so you can look forward to something in your garden all year long. Each of the 47 plants has a description on one page and the next page has a floral arrangement or recipe for things like pickled vegetables, edible flowers, herbal teas, infused oils, and more. Not having a garden or a green thumb everything in this book was interesting and informative to me. I think it would be a fabulous gift for the people in your life who love gardening and are looking to expand their knowledge or for someone who is just starting a garden and needs a little inspiration and instruction. I cannot believe that Easter is just around the corner. 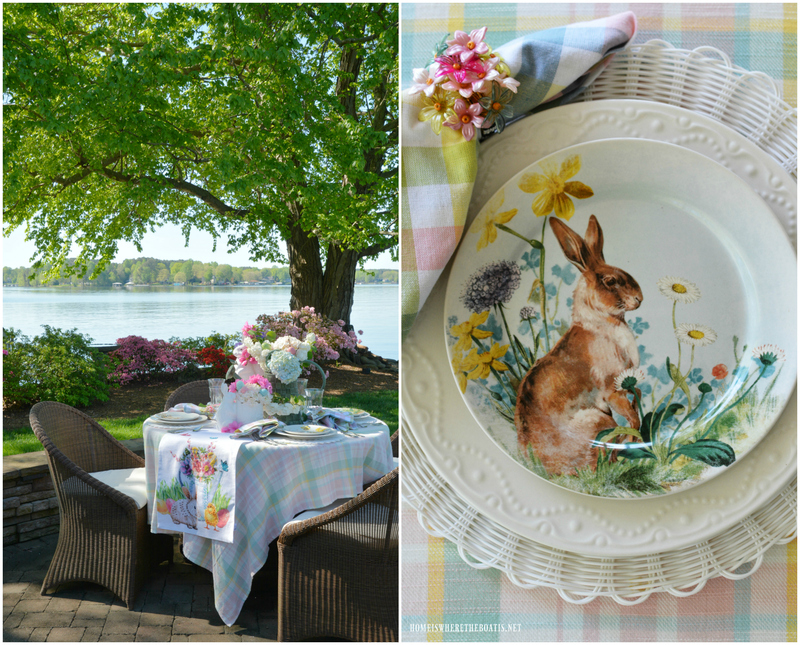 If you are looking for a few updates to your Easter decor I found these illustrated rabbit salad plates from Southern Living and think they would make a whimsical addition to your table. Did you find anything interesting movies, books or recipes this week? If so I would love to hear about them. Just Curious...What did you do for Valentine's Day? Good morning? How are you? 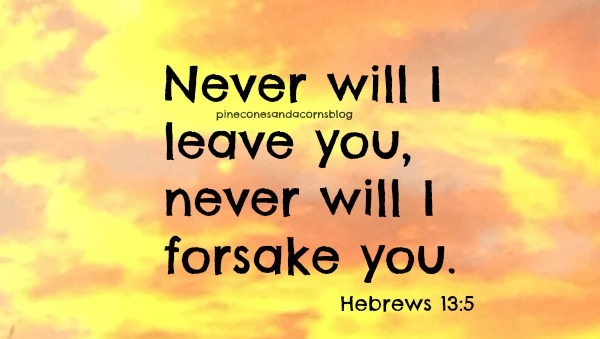 I hope that you are having a great week. Did you have a nice Valentine's Day? 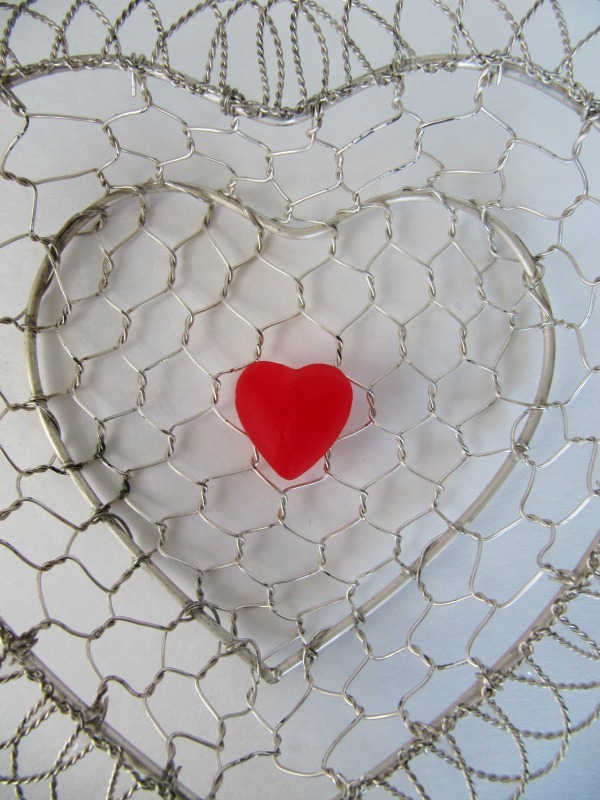 I am curious, what did you do to celebrate the day dedicated to love? 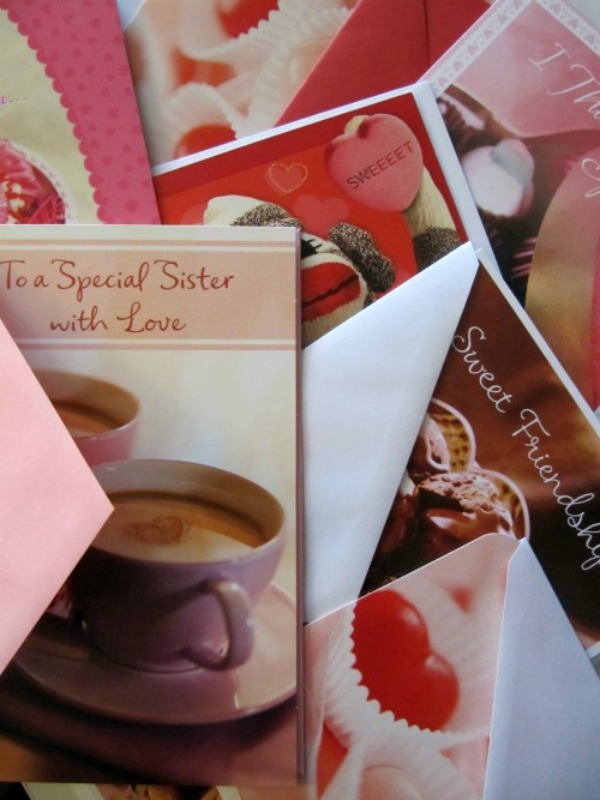 They say 160 million cards are exchanged on Valentine's day, second only after Christmas, that could explain why people call it a "Hallmark" holiday. I personally sent and received a few cards celebrating the day, from my husband, family and friends. I made homemade chocolate treats and sent them to my family and little treat bags for my neighbor kids. Aside from that my husband and I made dinner, we shared a piece of this chocolate fudge cake which I whipped up and we watched a movie. We are not really into Valentines Day, ironic really considering that is the day we became engaged to be married. I personally believe that every day gives us an opportunity to say and show our loved ones how we feel about them, not just Valentine's day. I remember as a child being very nervous on Valentine's day because when I was growing up every child was not made to give every other child in their class a Valentine card. In the school's that I attended we had little mailboxes and at the end of the day we opened them up at the Valentine's party and everyone would count their cards to see how many they received. Of course there were some kids that were disappointed that they did not get a card from their "crush" and there were the popular girls and boys who had so many cards they mailbox was bursting. I was in between both of these camps, some years I did not get a card from my secret crush but received cards from people I did not know had a crush on me. Young love, its confusing when you are in grade school. I would love to hear about your day. I noticed on my Instagram feed that there were lots of chocolate, flowers and even a few diamonds given. Were you the lucky recipient of any of the above or something totally different. Did you make a special breakfast or dinner or did you go out? Did you have a sweet treat after dinner? Whatever you did I hope it was fun and that you were surrounded with the love of your family, friends, and community. 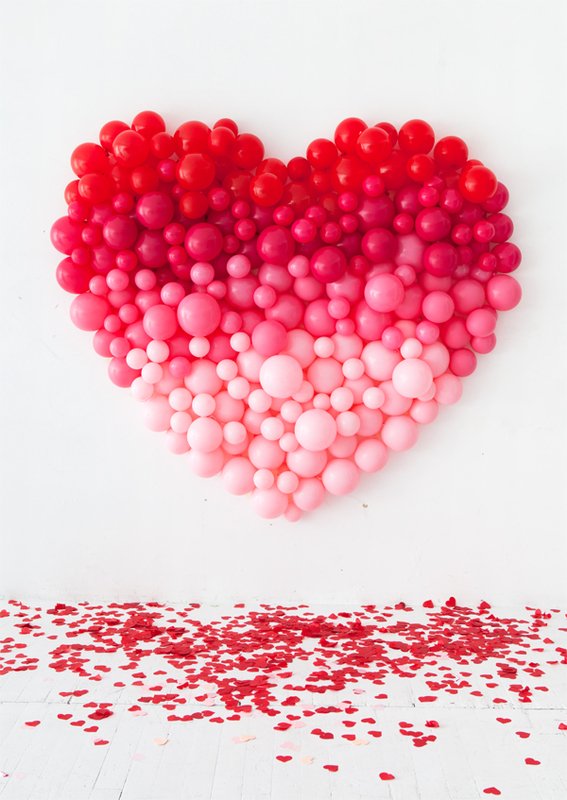 Thanks for sharing your Valentine's day with us! Happy Valentine's Day. I hope that your day is filled with love. 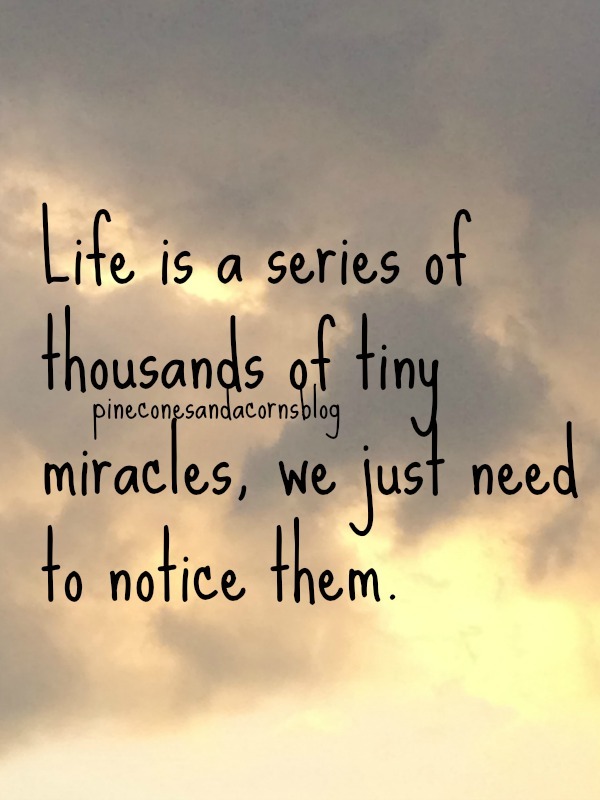 Good morning and a very happy Monday to you! How was your weekend? I know that many of you received a lot of snow this weekend. I do not want to rub it in, but not only did we not get snow it was 75 and sunny, it felt like a mild summer day. We actually sat outside for most of the day Sunday in the sun and read. We loved it and so did the pups. Tomorrow is Valentine's Day, do you have big plans? On Valentine's Day, twelve years ago, after 10 years together my husband proposed. Funnily enough Valentine's day is not a big deal in our house; we typically stay in, cook something interesting, I always bake something, we share a bottle of champagne, exchange cards, sometimes gifts and that is it. What about you? 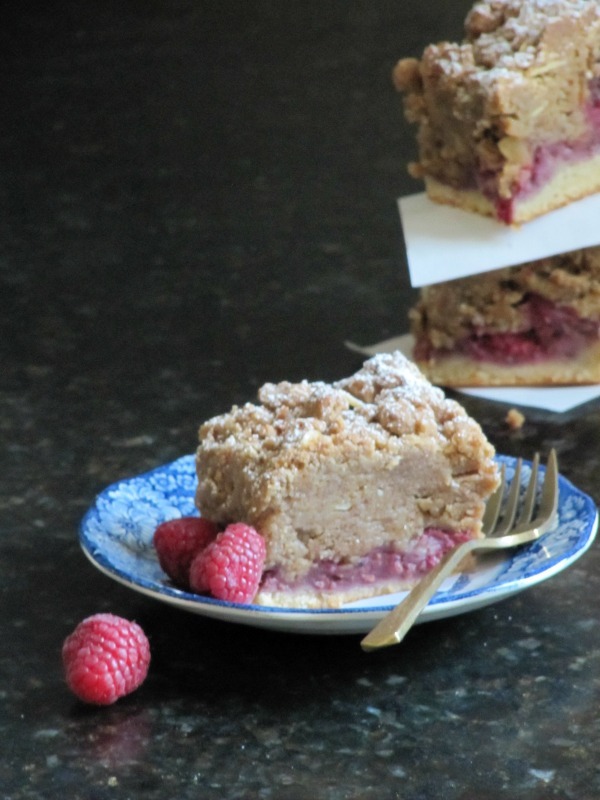 If you feel like making a treat for Valentine's day, I made this scrumptious raspberry crumb cake last week and it would be a very easy and delicious breakfast to share with your loved ones on Valentine's day. The great part is that you make everything, the batter and the crumb topping in the same bowl. 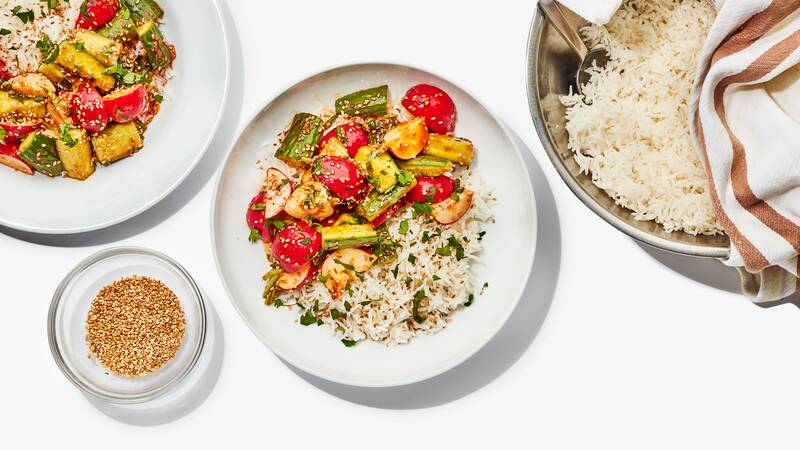 It cannot be any easier than one bowl and one pan. Adjust the rack to the middle of the oven, then preheat to 350. Prepare a 9x13 pan with cooking spray and set aside. In a medium bowl, stir the flour, sugar, brown sugar, baking powder and salt, then add the butter, oil, egg, vanilla and milk and whisk until smooth. Spread into the pan. 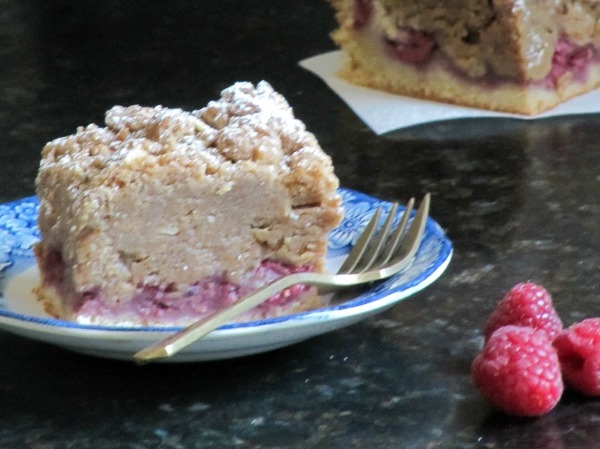 Drop raspberry preserves over the top of the batter and swirl into the batter. Scatter half of the raspberries over the top. In the same bowl as the batter, combine the flour, brown sugar, almonds, cinnamon, and salt. 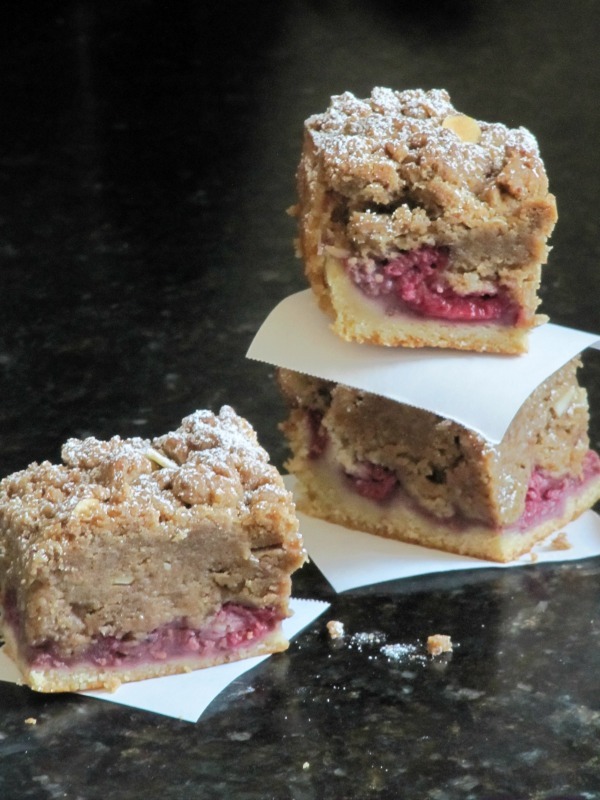 Add vanilla and melted butter and then combine using your hands util mixture forms moist crumbs. Scatter over the top of the batter, then scatter the rest of the berries over the top. 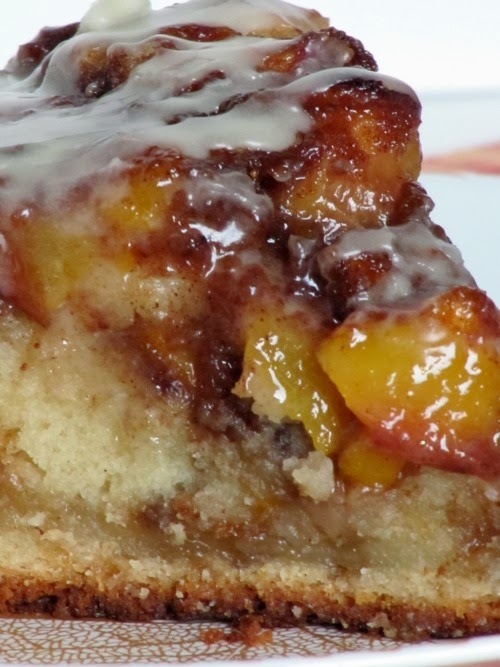 Bake until the center of the cake is firm to the touch, about 25-30 minutes. 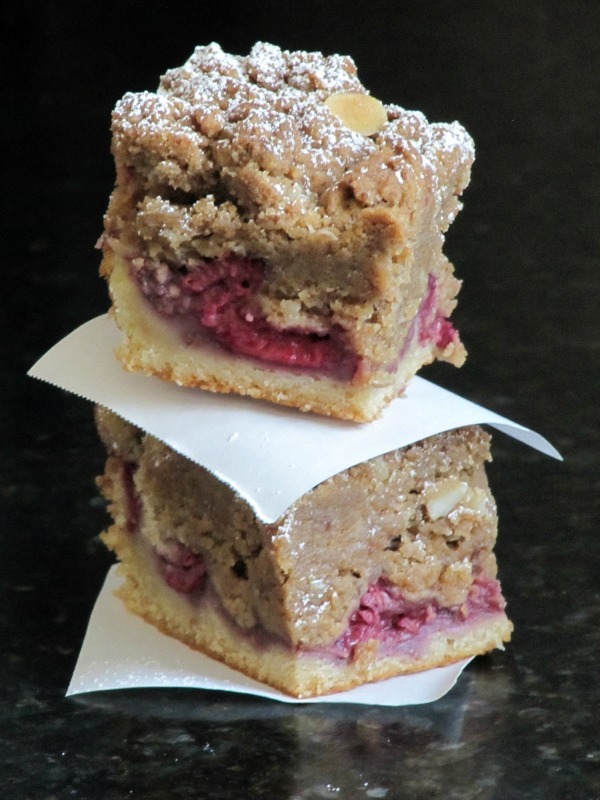 The original recipe called for an 8 x 8 pan and it took about 60- 65 minutes to bake. Let cool, and enjoy. Are you a fan of red? What about red lipstick? Me personally, I have never worn red lipstick, perhaps because I do not have that bold of a personality. I certainly admire a woman that does though. If you do wear red, what is your favorite color and brand? Good morning! How are you? To my friends in the North, did you survive the storm? I hope that you did not have too much trouble traveling and clearing out all of the snow. Hopefully the storm is finished and you can relax and enjoy the weekend. 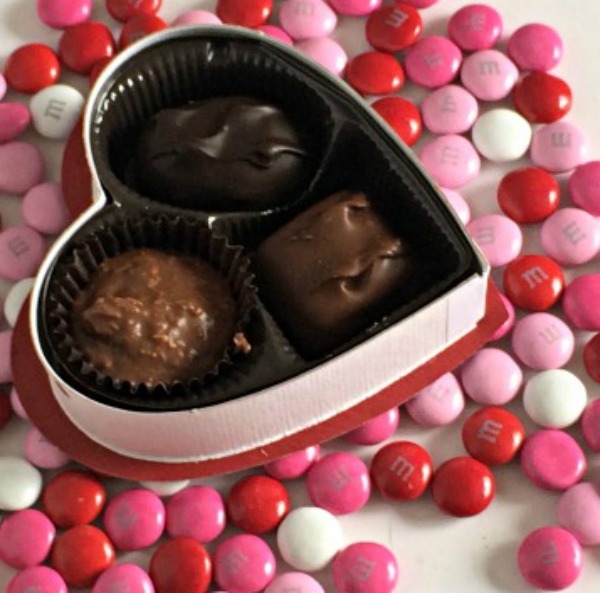 Tuesday is Valentine's Day so there is still time to make a tasty treat, card or gift and if you do not feel like making something there are some cute gifts out there. 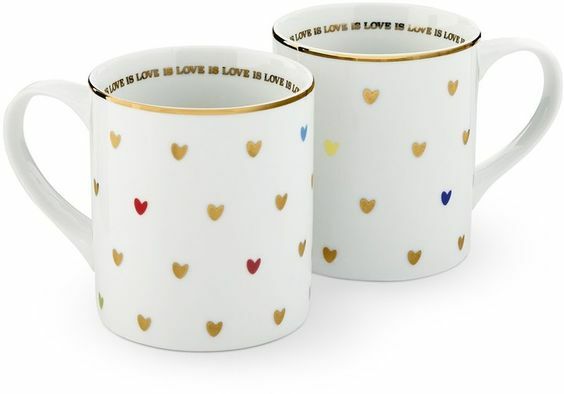 Just remember that Valentine's Day is one day a year, love and friendship are something to celebrate everyday and should not measured in how much you spend. 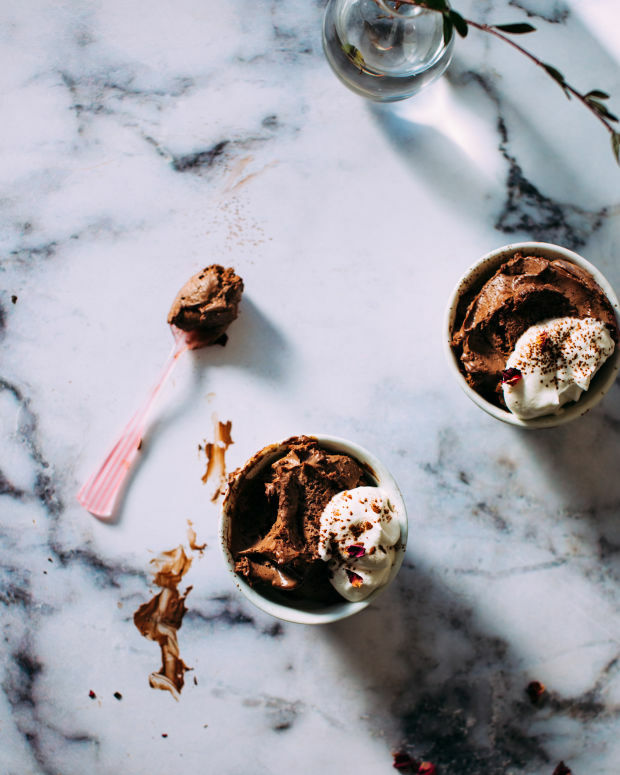 Doesn't this Chocolate mousse look fabulous? The Foodess made it this week and believe it or not it is made in a blender! I cannot wait to try it. 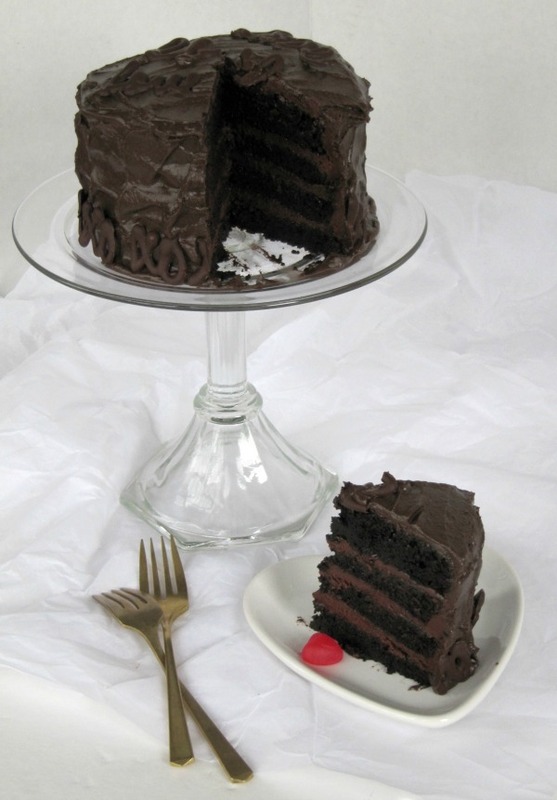 I made this Chocolate Cake with Fudge Filling and Chocolate Frosting and it is over-the-top fabulous. 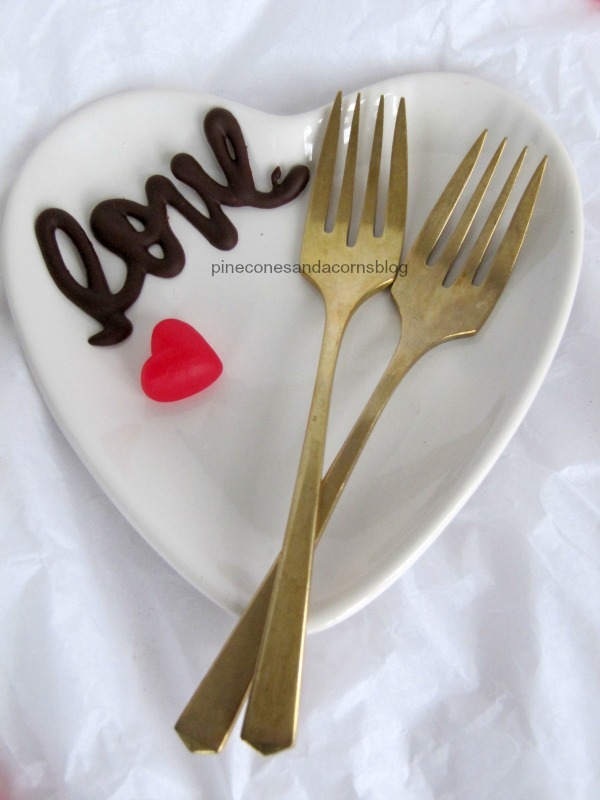 If you want to make a special dessert for your love than try this. 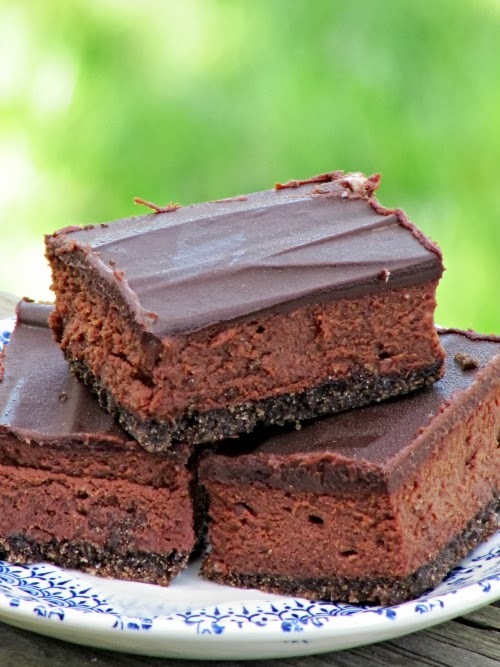 If you would like a few other chocolate baking ideas, check out my 25 Favorite Chocolate Desserts. 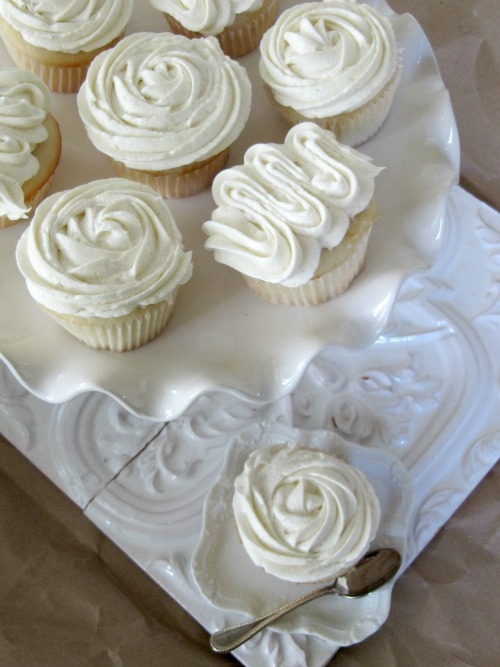 If your Valentine does not like chocolate(shocking I know)these White Cupcake with Whipped Buttercream Fosting are delicious too. Do you decorate on or for Valentine's Day? If you would like a few ideas on how to decorate with balloons check out this post by Design Addict Mom. 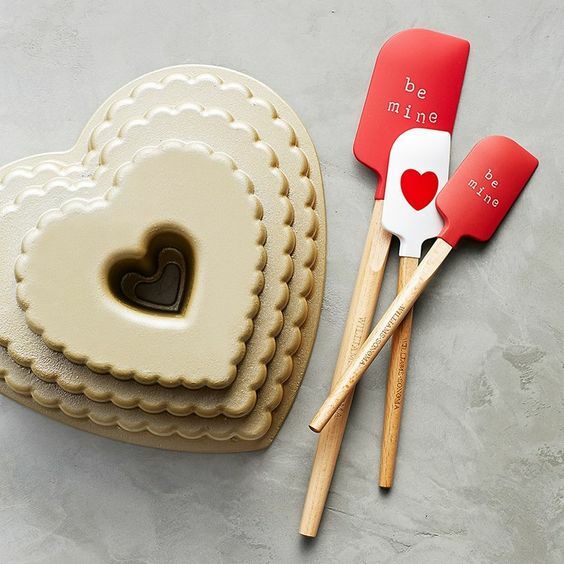 Here are a few of my favorite Valentine's Day finds from Williams-Sonoma. 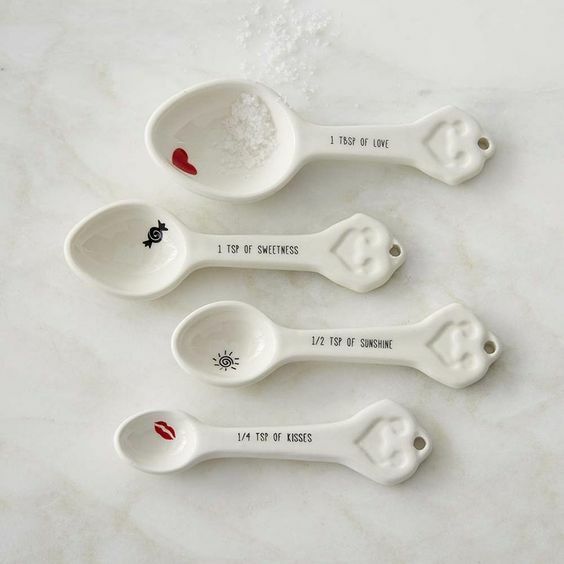 You could make a cake professing your love and measuring each ingredient with these adorable spoons. 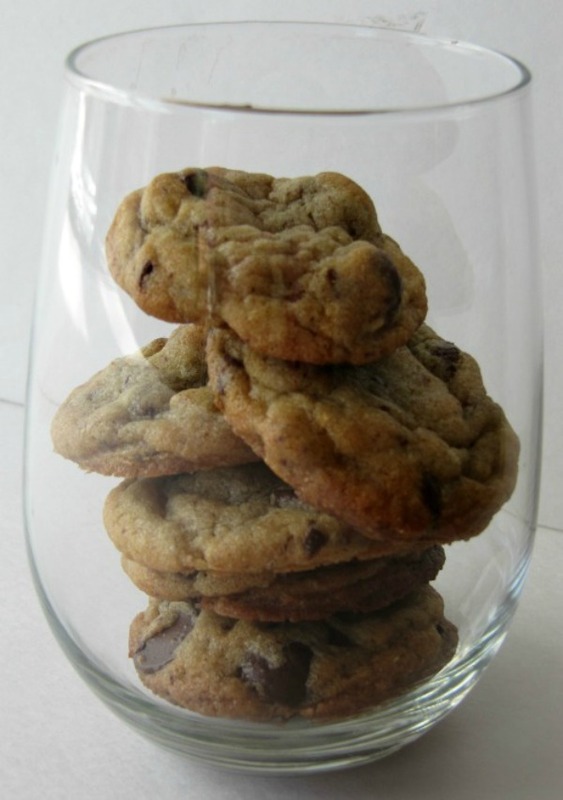 Or if you don't feel like baking you could buy these cookies. 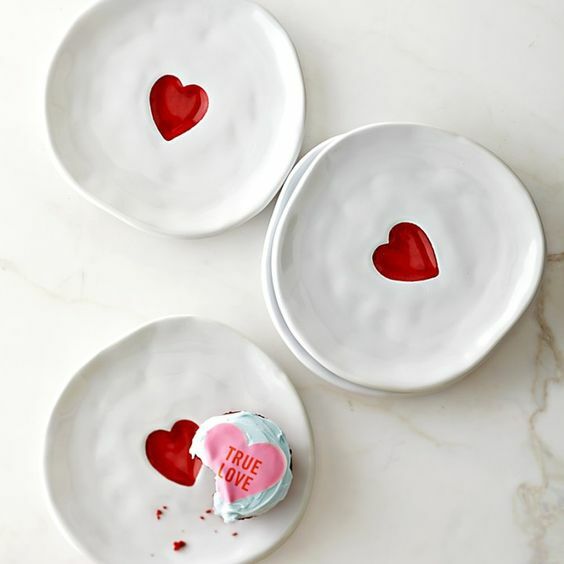 Then serve your tasty treats on these fun heart plates and perhaps have a cup of coffee or tea to go along with. 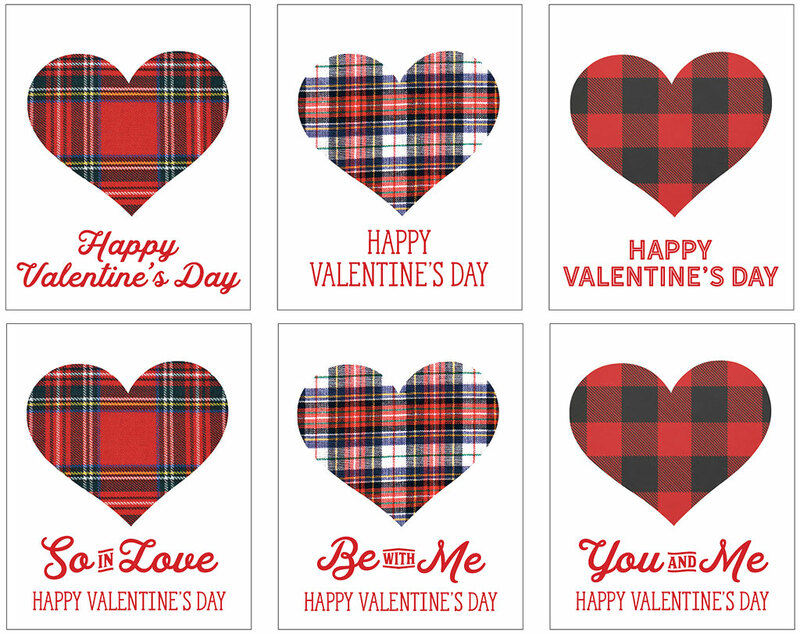 If you need a little Valentine tag or two for your gifts check out these tartan tags from Nora Murphy Country House. 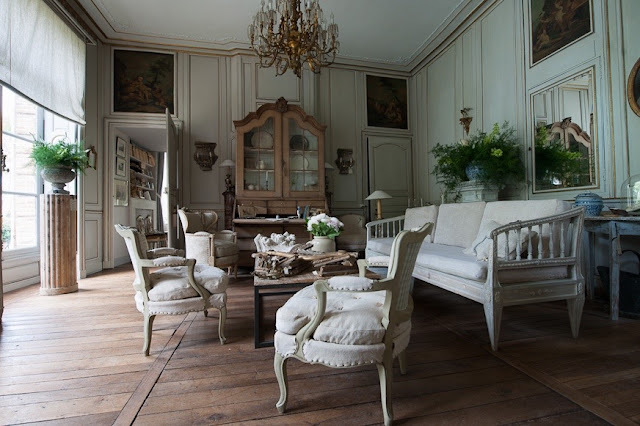 If anyone is in the market for an apartment in Paris or a fabulous French country house check out this post from Sandy at You May Be Wandering featuring two great places for the city or country lover. 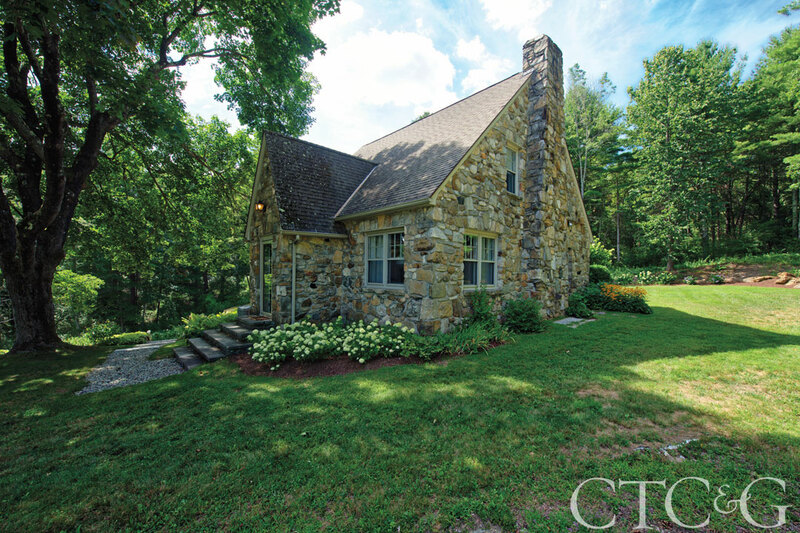 Someday I would like to downsize and I think this little house I found on Connecticut Cottage and Gardens is perfect. 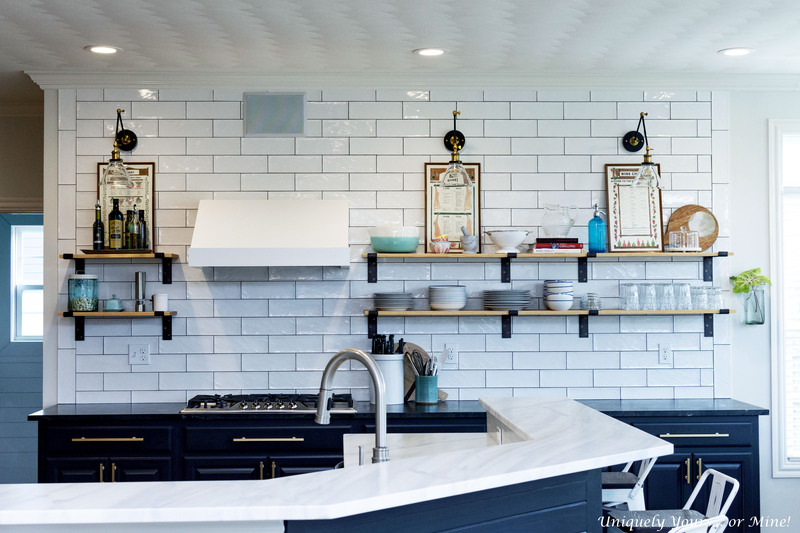 Speaking of cool houses, check out this house in Colorado that Sherry Hart of Design Indulgence featured this week. It is very cool! What do you have planned for the weekend? Whatever it is I hope that you enjoy it. As always if you discovered a great recipe, book, pod-cast, article, movie or whatever this week please share with us. Just Curious...How Do You Use Pinterest?